Děkuji Davidu Růžičkovi za přeložení mého článku ze sport.cz do Angličtiny. Thanks David Růžička for English translating. 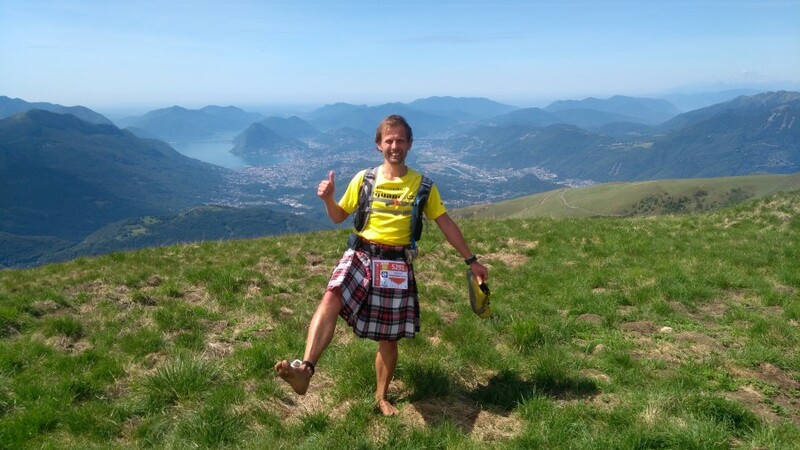 Tomáš Zahálka went to a remote foreign country to let the air circulate under his running kilt. 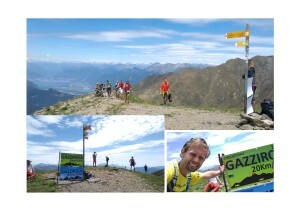 This time, he decided to tease the Alpine peaks running barefoot in the Swiss part of the Alps. How did he do on the track full of panoramic views? Is the 54k, i.e. the short edition of this run actually short? And is the heat in Switzerland as sizzling as in the Czech Republic. Just find out reading Tom´s report. This time I´ll try how it feels like running in the mountains. Real mountains. There are several Scenic Trail distances in Switzerland. In order to get in touch with the Alps I´m enlisting for the 54 k option with an altitude of 3800 meters. The only thing remaining is planning the journey to Tesserete near Lugano in the South of Switzerland. Going by plane, bus, car, cycling over there or running? But it wouldn´t be me, if I didn´t opt for the train. Following all the internet clicking I finally have my special offer tickets – great. On Thursday morning, I´m going from Prague to Munich, the train doesn´t move too fast but still – it´s rolling. One hour waiting in Munich an then the EC to Zurich is already at the platform, I´m somehow surprised by the two diesel engines towing the train and by the monotrack awaiting us. The Alps are somewhere far in front of us and the journey takes me along the Lake Constance. What a pity I cannot stop for a while and dive in my feet. Leaving Zurich, the train rushes through the 50k long Gotthard tunnel and in 20 minutes, I´m on the other side of the Alps. Fourteen hours of my train-driven sightseeing journey are over. I do have some experience with sleeping outside, especially if it´s not raining. Yet numbers will be distributed to the runners only from 2 p.m. onwards. So I didn´t find out anything better than checking out the local running track. To try out what the real run will be, I´m cramping the obligatory equipment into my running backpack – this includes: a 30 000 mm waterproof jacket, elastic trousers, a cap, a headlamp, a foil blanket, a cup, water and a something to eat. I´m also adding the Swiss Army knife, just in case I´d bind my shoelaces wrongly and need to get out of the shoes. Altogether, this stuff weighs about 4 kg. Thank God that my sleeping bag can remain in the valley. But carrying this package and running with it feels surprisingly easy. Practicing just shortly ahead of the race? I´m starting at a level of about 500 m above sea level. First I´m taking the asphalt road to the pass called Gola di Lago. Barefoot over stones along the hillside to the Motto della Croce. That´s already tough but still, I´m only at 1390 m above sea level. What am I gonna do after this race? I´m passing a hitherto empty refreshment point returning downhill on an endlessly zigzagging track with my shoes on. I´m meeting a cyclist on my way down but his speed seems to be quite high somehow. Oh, he´s on an e-bike. Following 19k, I´m coming back to the valley, a classical last-minute training. Most runners will enjoy the sport socks from the starter kit. For me: it´s the buff, a nice functional shirt, the ticket to the post-race pasta party. And a ticket for swimming in the pool. Looking at the pool with the aid of a webcam, I decided that I simply must try this Swiss-style bath. Splash and I´m in. I´m enjoying the view of the mountain where I´ve just been. But after some hundred meters of swimming my calves start stiffening, oh boy. It maybe wasn´t the best idea to warm-up for the race this way. But, we´ll see tomorrow. 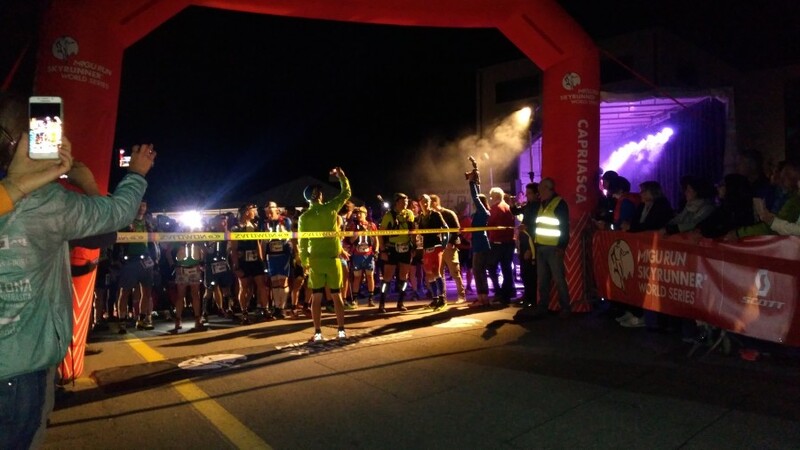 The 113 k runners start at midnight. We, the shorter trackers begin at 8 a.m. The limit is 15 hours. Many people would think that 54k within fifteen hours is a piece of cake. Yet there are three time limits on the track one has to fulfil and above all, innumerable mountains. It´s really hot at the start, at least 30 °C. I´m running with Veronika. We first circle around the village of Tesserete, Ondra and Karel are already in front of us. Running up barefoot on a stony path isn´t quite delightful but I´m still retaining my humor. And then the views of the hills and mountains are already opening up. Again the same pass and again Motto della Croce. A photograph, a short pause and then parking some food at the refreshment point. Melon, bananas, oranges, bars, gummy bears, water, coke – and still, I´m three quarters of an hour ahead of the time limit. Running up a meadow continues. Suddenly I hear: That must be Mr. Zahálka! Zdeněk Kříž is overtaking me. He finished the 113k race within 16:56. 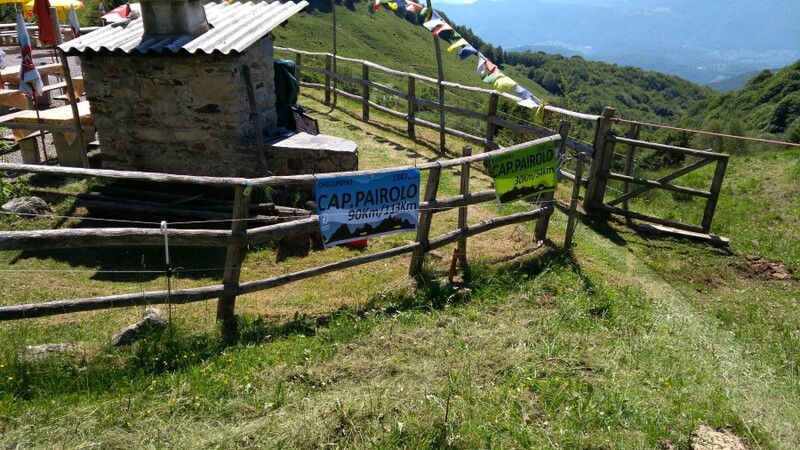 I´m climbing up Monta Bar, pivoting at 1816 m above sea level. That´s not today´s race peak, not yet. A short downhill with a warning sign informing me about the steep slope. 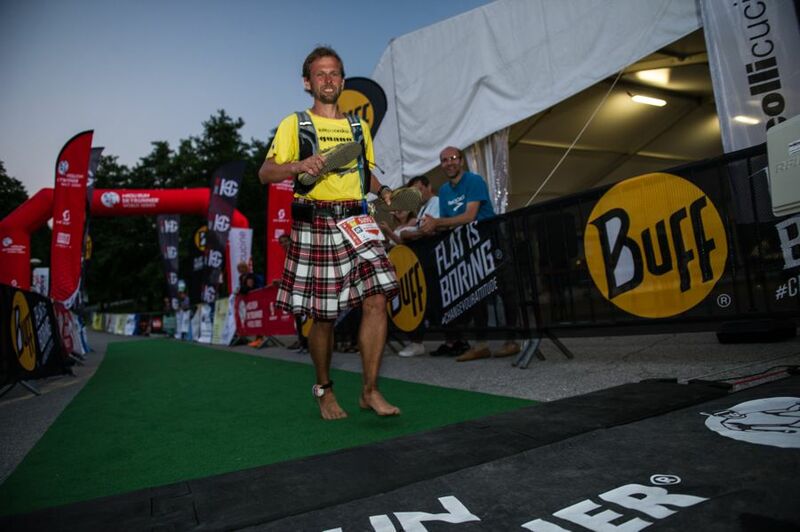 The wind is slightly blowing under my kilt – I heartily recommend to you trying out this kind of running and feeling. I´m figuring which mountain we´ll be running up next. Rather crawling up, at first, it´s moderate crawling but the ascent gets really tough and steep. Admittedly, my stomach is aching a bit following eighteen kilometers and I´m lacking energy. Probably, I´ve reached my ascent speed limit which is something that doesn´t happen to me on Czech mountains. I swallow down some dates and dextrose. 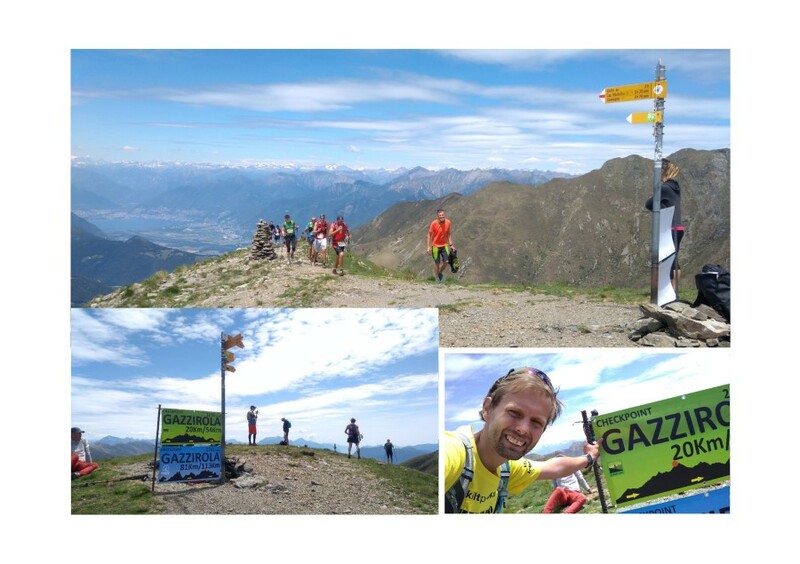 The limit´s far behind me, I´m not giving up and achieve the highest peak of the race, Gazzirola at 2116m above sea level. Even here, it´s 30°C. Almost 20 kilometers within about four hours and forty minutes. 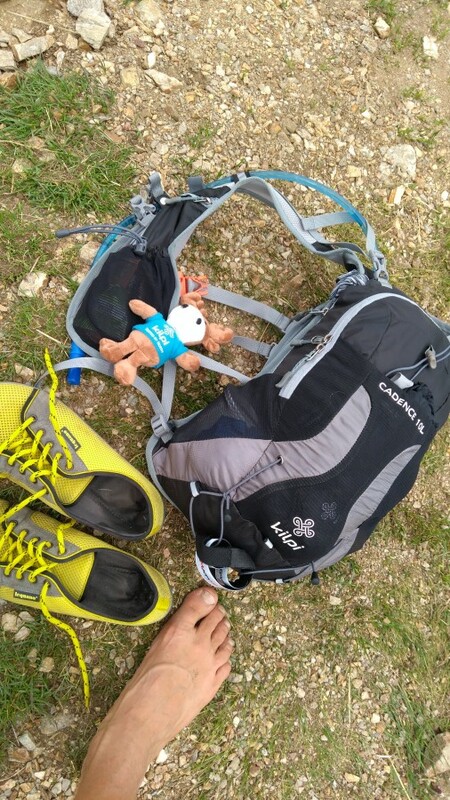 Now it´s rather about taking on my shoes and rolling down to the next refreshment point. The limit: I´m again approximately three quarters of an hour ahead of it. I´m meeting Veronika at the refreshment point and take a short pause, which consumes part of my reserve for the next section. Well, there really have been races where I was looking fresher. 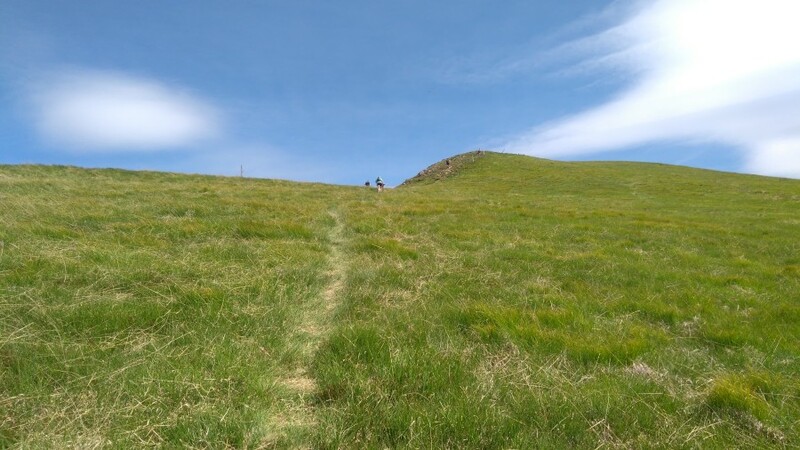 I´m unzipping my backpack on the side, taking out my hydration pack, having it refilled with water and then I´m running on my barefoot path again. My performance has returned to the usual level, my stomach as well. When you start thinking, you´re at the top, another mountain appears and then another one. You then run downhill and the whole process starts again. A really steep mountain with split stones comes. Running barefoot would make my feet look like Swiss cheese. The round stoppers on my sole are gripping well yet the stones press through the thin sole pretty strongly. Over the stones around the rocks on the Swiss-Italian border. 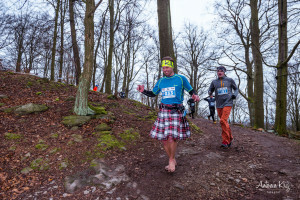 Then it´s about running through the wood and I´m at the next refreshment point. But then Monte Boglia appears on the left side coming near. For your information, that´s a mountain about as high as the highest Czech mountain Sněžka with it´s peak at 1602m above sea level. This entirely changes the conditions. 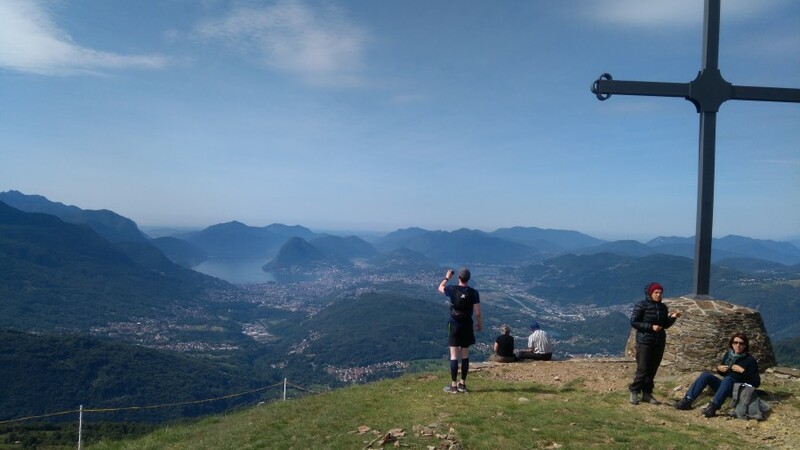 I´m running with two Italian guys and about in the middle of the mountain, energy is coming up and I´m leaving those two behind me by simply rather walking up faster, as fast as I can actually. There´s even enough time to take a peak picture and enjoying the view of the lakes. A real chase is starting now, little streams, zig-zagging paths, roots and rocks. Some runners are exhausted leaning against the trees. The Italian is passing me. I´m trying not to lose sight of him. I do not want to miss the limit by just a few minutes. There´s the timing carpet and the watch says 17:59. I´m pointing at my watch, I´m within the limit, by one minute, yes! Again, I´m meeting Veronika, we talk a bit. I take some refreshments and then just lay down for a while. Gathering energy is really necessary. Then I´m back on my feet running up the mountain leaving the marathon distance behind me. It´s surprising that neither my thighs nor my calves ache after going up these brutal mountains and down. Now it´s only running through the woods but my run rather resembles hiking. I´m looking forward to the pasta behind the finish line. One more refreshment point. I think I´ve drunk seven liters during this race and some coke as well. I cool down my tired soles in a brook. 113k runners are passing me here and there, they´re simply cracks. Down the hill and just two slight ascents. I´m passing a sign saying “1,1k to the finish line”. I clean my soles in the grass. A bit of gravel, ouch. Over the bridge and a short sprint to the finish. Aaron Rezzonico, the race director is welcoming me after 13:26h from the start. Thank you for this great, but really demanding race. I can heartily recommend it, yet recommending as well that you ideally do more exercise than I did. I ran only 19k of the entire track barefoot. And I have to admit that I probably wouldn´t have managed to get back within the set limit if I had ventured on the longer track. What about Ondra and Karel? They crossed the finish line at 11:13. Wait a minute, one more thing! 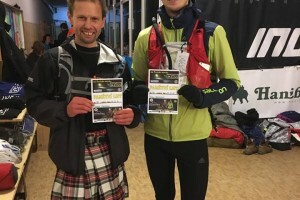 Kilt po česku – dodal pohodu celou trasu. Bosé boty Leguano Aktiv – Dostaly hodně zabrat, ale vydržely a pomohly mě přenést se přes nejostřejší šutry. Běžecký batůžek Kilpi Cadence – pobral celou povinnou výbavu a ještě něco navíc. Praktické uchycení hadičky od rezervoáru na magnet. Výborné popruhy s kapsami na tyčinky a power banku.